A 9/11 memorial that occupied a central location on the campus of Southern Methodist University (SMU) for YEARS is being relocated to a secluded area of campus due to liberal outrage over the “triggering” message it sends . 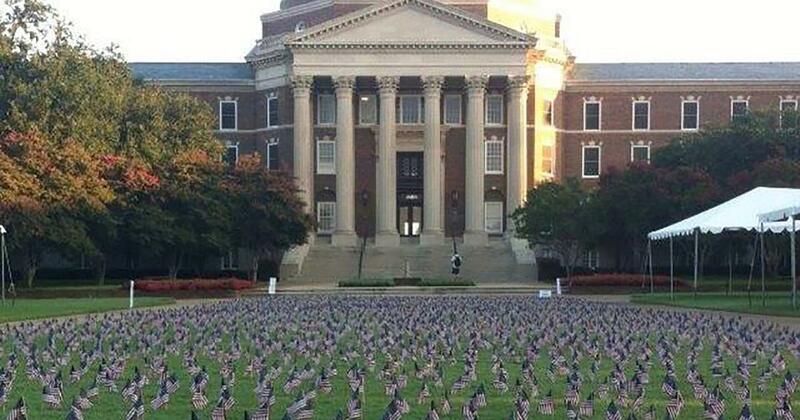 . .
SMU’s YAF chapter participates, like countless others, in the annual 9/11 Never Forget Project by putting together a memorial of 2,977 American flags, which each represent a life lost during the attacks. 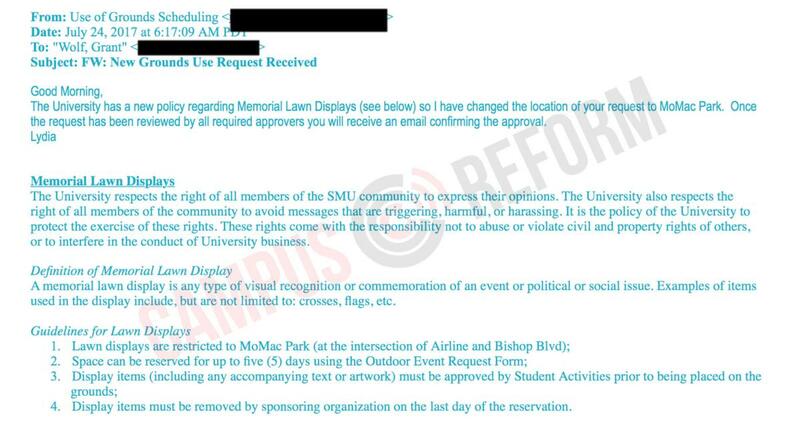 The cowardly SMU administrators, afraid of triggering SOME Muslims that are incapable of understanding the damage done by their religion, are asking that the memorial be moved from “well-trafficked” Dallas Hall Lawn, which is a prominent location on campus, according to Campus Reform. Instead, the display location was changed to MoMac Park, which is to the south of Dallas Hall Lawn and less prominent. According to Drew Wicker, the president of the SMU College Republicans, MoMac Park sees significantly less foot traffic than Dallas Hall Lawn. SMU spokesperson Kent Best, however, told Campus Reform that he doesn’t see the change in lawn space from Dallas Hall to MoMac as a downgrade.